RT: @ASWELETGO: 2/28 “PLUM JAM 01″@ UMEGAOKA RDS. AND BELIEVE/INSIDE/AWLG 3BANDS SHOWCASE.MORE INFO COMING SOON WITH FLYER DESIGN. 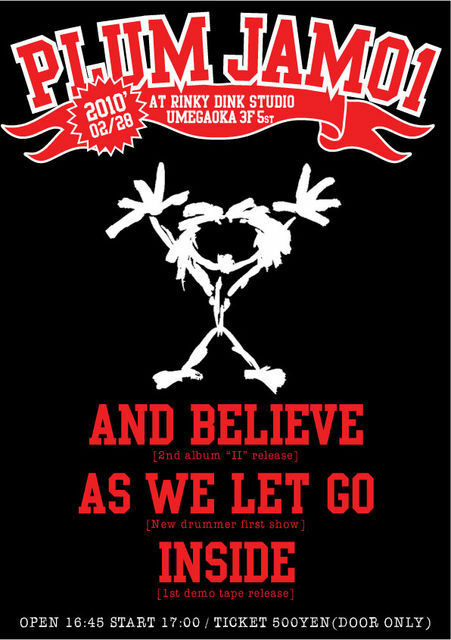 RT @irstokyo: http://twitpic.com/yx9lv – NO CHOICE IN THIS MATTER last show!